Greyhound racing’s most exciting format is back! 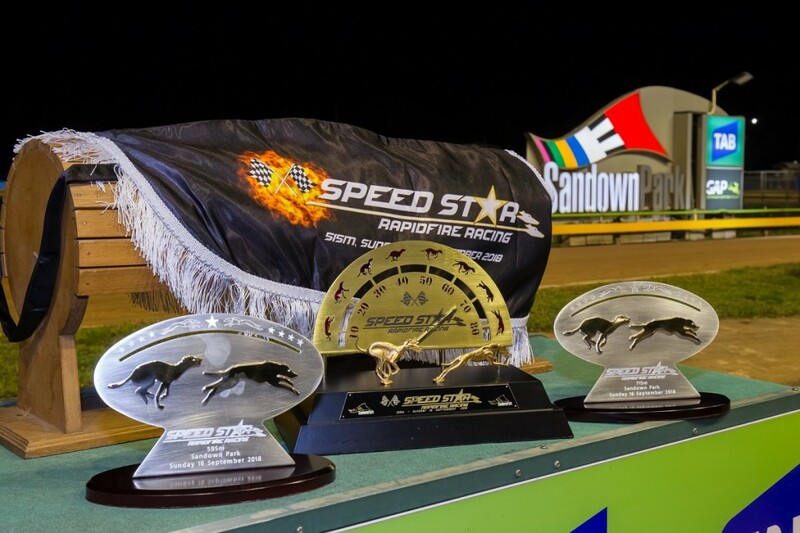 Forty of the country’s fastest chasers racing in 20 head to head for a chance to share in $190,000 in prize money and the title of Australia’s fastest greyhound. With matches jumping every 8 minutes you won’t want to miss a moment of the action. Here’s your guide the Speed Star Super Sunday. Drive: Free parking is available on View Road, and on Lightwood Road opposite the Sandown Park train station. TV: Dave Carlson and James van de Maat host a special showcase coverage on Sky Racing 2 (channel 527) from 5.30pm, FREE for all Foxtel subscribers for the entire night! Race format: Greyhounds qualify based on their times at Sandown Park in between 1 May 2018 and 9 September 2018. Greyhounds compete against one other greyhound head to head, with prize money won by the winner of each match. Prize money is also paid to the greyhounds that run the fastest overall time in each race. Chance to win: There’s $20,000 up for grabs in our Top Dog Tipping competition! Click here for details on how you can be a winner!